Cash on Delivery (COD) Aid proposes a new approach to foreign assistance -one that links aid payments more directly to desired outcomes to promote accountability, responsibility, learning, and strengthening of local institutions. 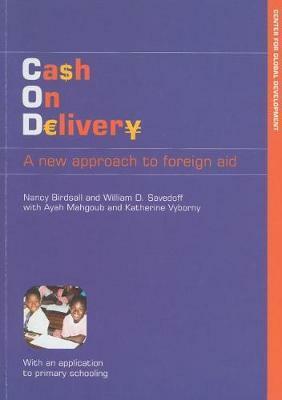 Using an example from education, this book outlines how COD Aid could work in practice. It offers guidance on the identification of measurable outcomes and mechanisms for verification and the management of a variety of risks. The authors provide practical advice, documents, term sheets, and other supporting material that donors and potential recipient governments can use as a basis for designing and implementing COD Aid in particular settings. It also shows how COD Aid could be applied to other sectors and includes guidance for assessing whether COD Aid is achieving its goals. Nancy Birdsall is the founding president of the Center for Global Development. Before launching the center, she served as senior associate and director of the Economic Reform Project at the Carnegie Endowment for International Peace. William D. Savedoff is a visiting fellow at the Center for Global Development and senior partner at Social Insight. He also serves on the editorial board of Health Policy & Planning. 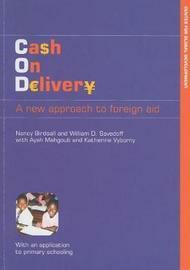 Katherine Vyborny managed the Cash on Delivery Aid initiative at the Center for Global Development. She is currently a Rhodes Scholar in economics at the University of Oxford.